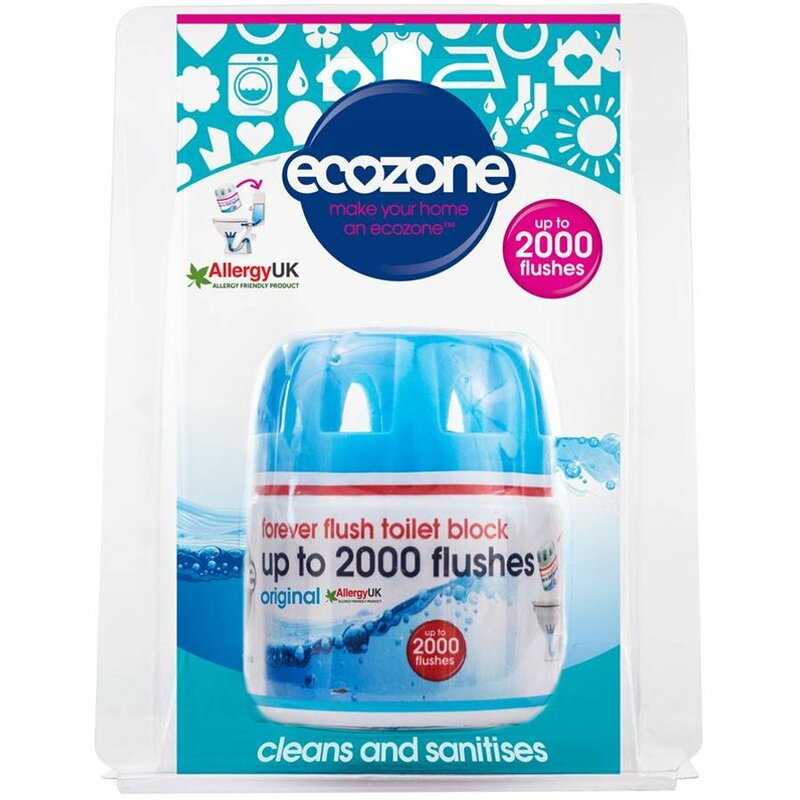 For up to 2000 fresh flushes, simply place this new product from Ecozone into your toilet cistern where the Forever Flush block will help to clean, care for and prevent those unpleasant stains. No toxic chemicals have been used which makes this a safe choice for your bathroom. It's biodegradable too, so friendly to the environment! The blue water will indicate your toilet is hygienic, deodorised and free from any stains and when the water starts to flush clear its simply time to replace. 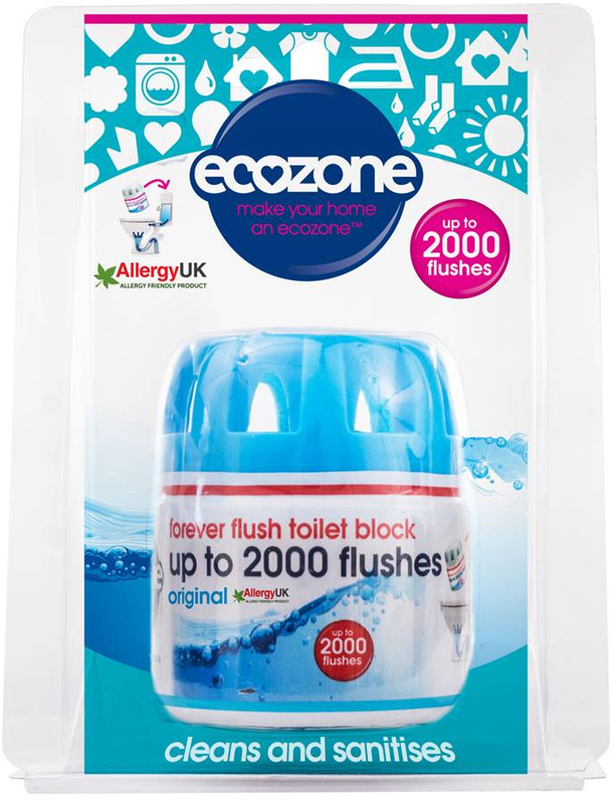 There are currently no questions to display about Ecozone Forever Flush Toilet Block - Original - 2000 Flushes.